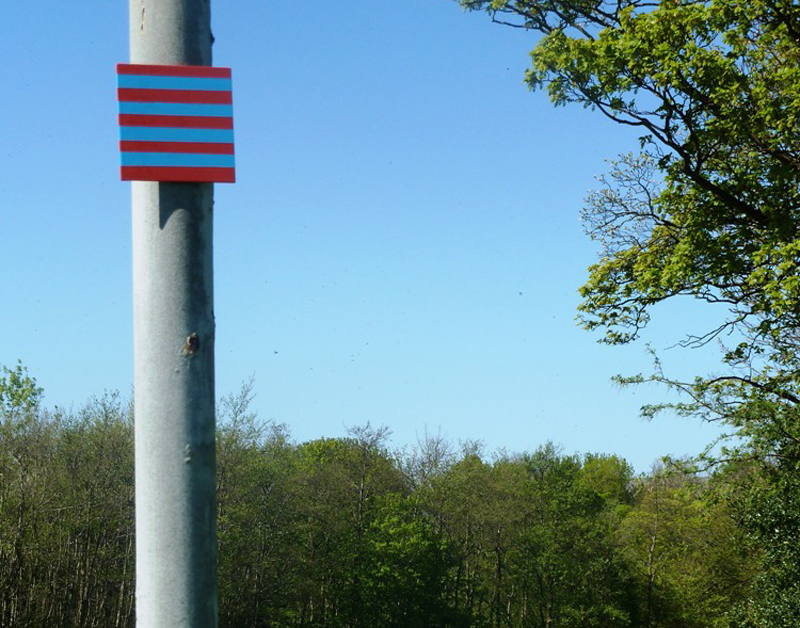 Our public realm, invited artists programme will be announced in June 2019. 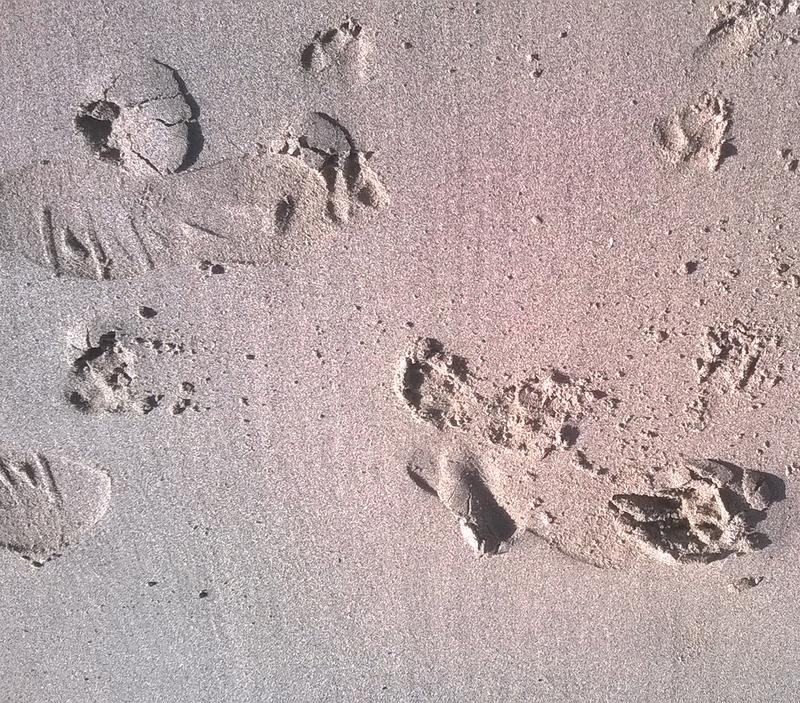 'Footprint' is a new cultural, healthy living, walking & cycling map for Leith, Portobello & Musselburgh to be created by the end of the year. We're currently inviting participants to get in touch, and applications for artists are also open. The 2018 Art Walk featured an events centred curated programme around the 'Pleasure Ground' featuring live music, live art, participatory performance, writing, walks, installation and film screenings. Please find below some of the festival highlights. 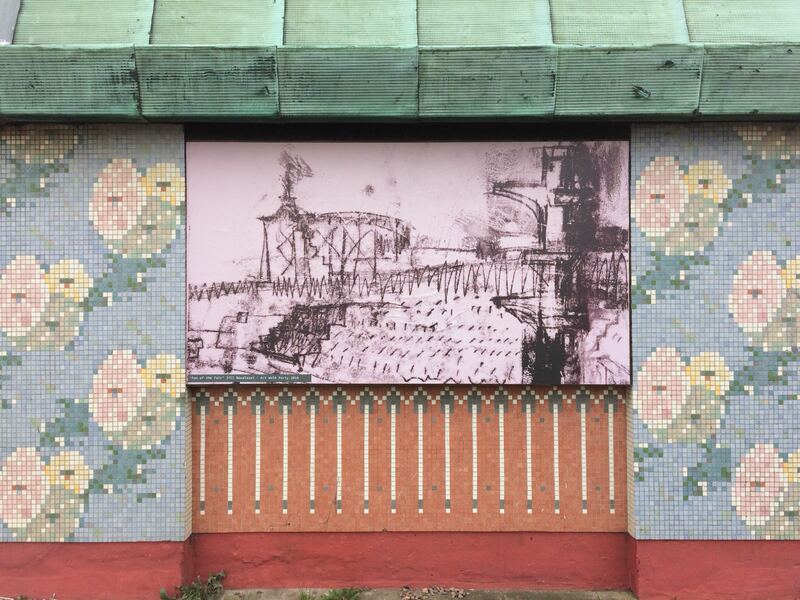 Hastings based artist, Greig Burgoyne, was commissioned to create a project pairing up the space of Portobello's old pier with that of Hastings pier. 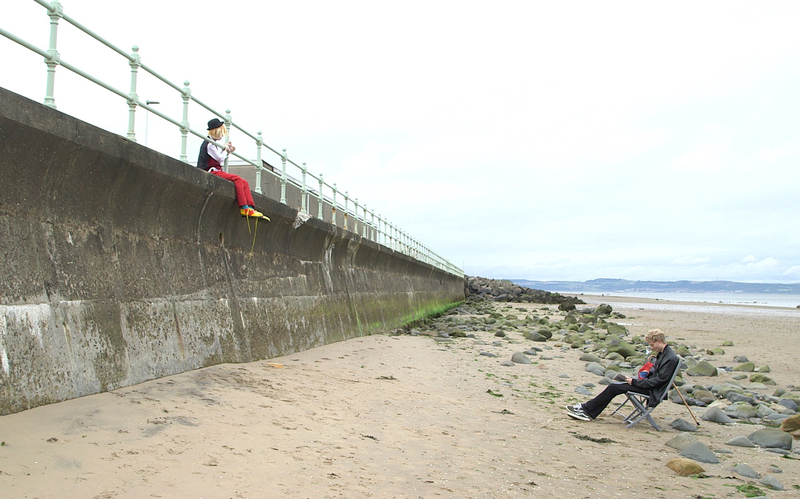 You can see the footage below of his 'Pier Dig' - a 7hr drawing performance, and his participatory 'Pier to Pier' walks that took place on or near to the site of Portobello Pier. 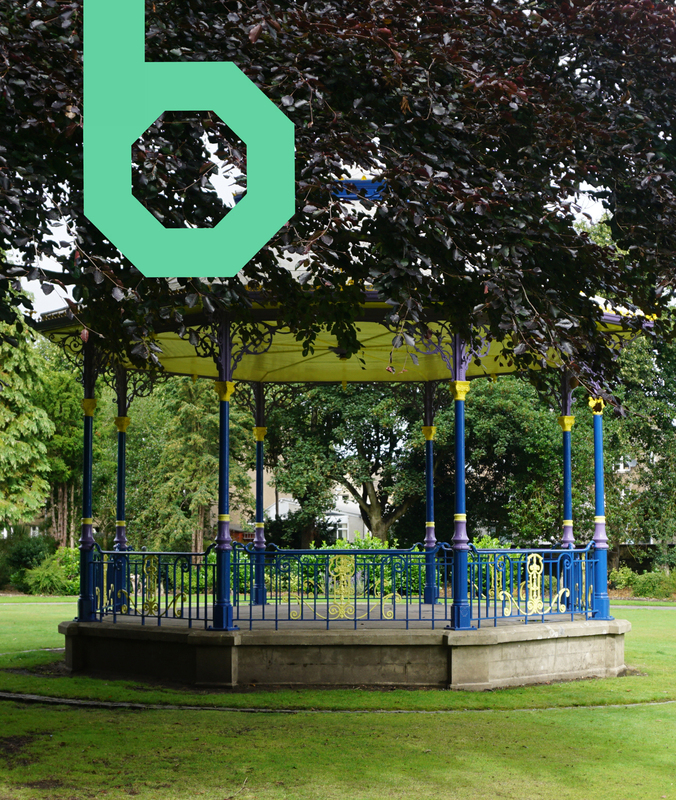 Composer & sound artist, Ross Whyte, was commissioned to create a new composition 'The Great Exhibition' linking up Ross Theatre Bandstand to the site of Portobello's old Bandstand. 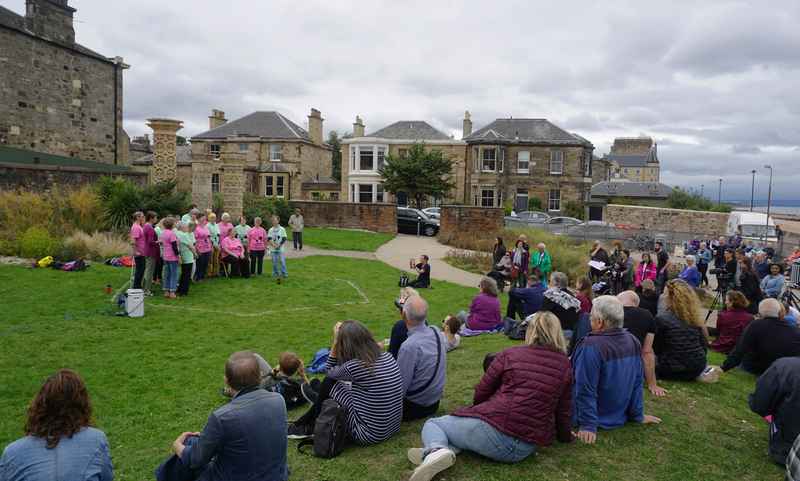 The project involves 8 soundspace sites across Edinburgh & Musselburgh of old or existing bandstand locations, with associated sound immersive App, together with live performances from Portobello Community Choir. 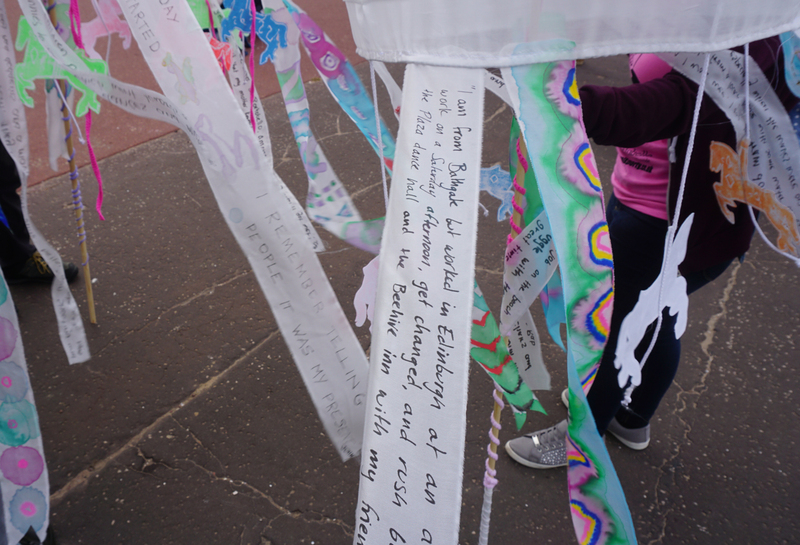 Supported by funding from The Royal Edinburgh Military Tattoo and City of Edinburgh Council. 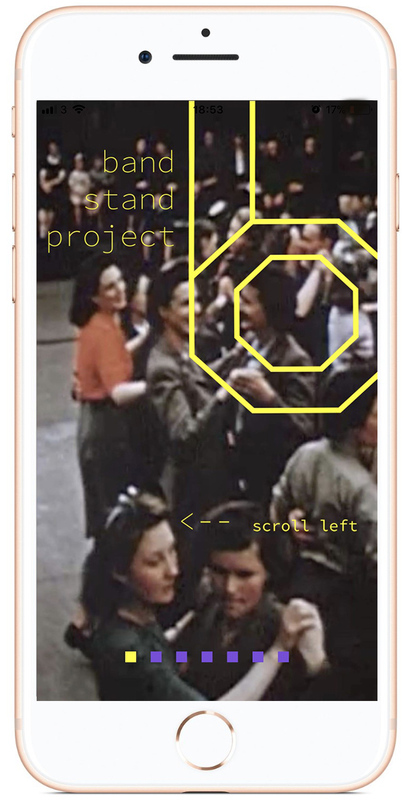 The App is still available for use, with future performances planned for 2019. ‘Festoon’ was a walk inspired by historical fairground illuminations and explored our experience of urban darkness. 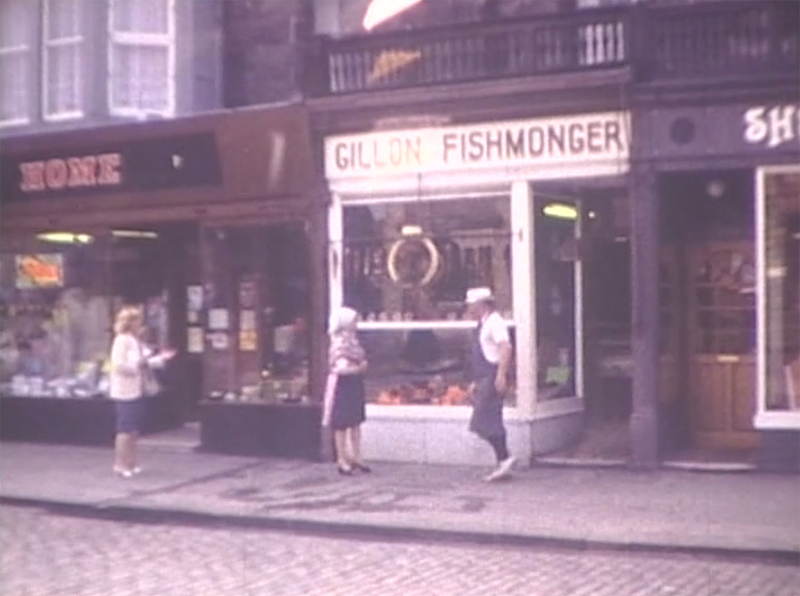 It took place after dark in and around Porty. Walking slowly in a line, 12 participants carried portable, lighted frames around the darker spaces in Portobello - spaces that can be ‘lost’ after dark - creating a walking illumination. 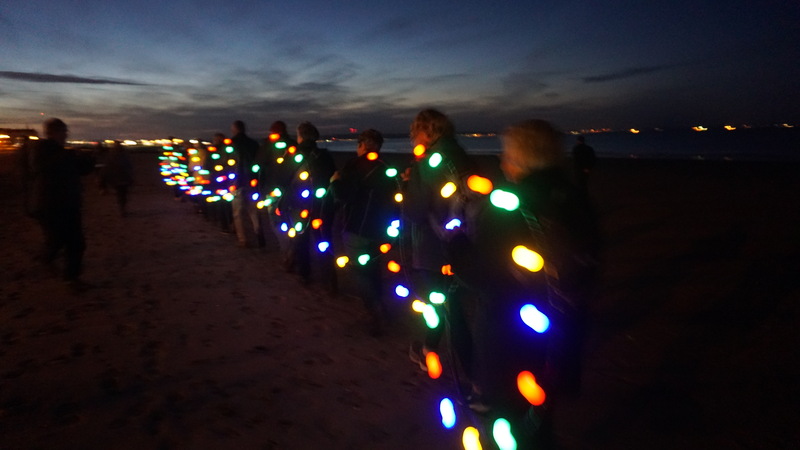 ‘Festoon’ is a walk, a performance and a participatory artwork. 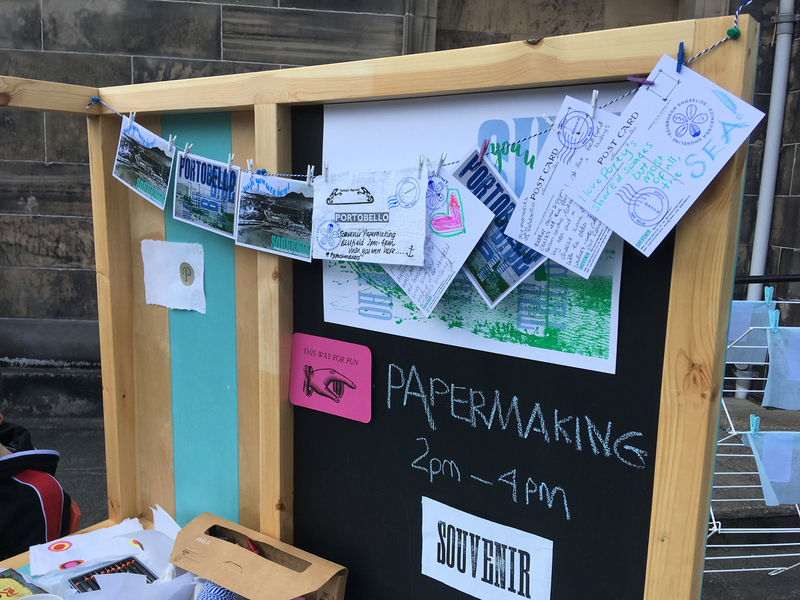 'Souvenir’ was a growing community-making exhibition at Bellfield involving the postcard form, paper making and memories of visiting and living in Porty with outdoor workshops on Portobello Prom, supported by Edinburgh Shoreline Project. 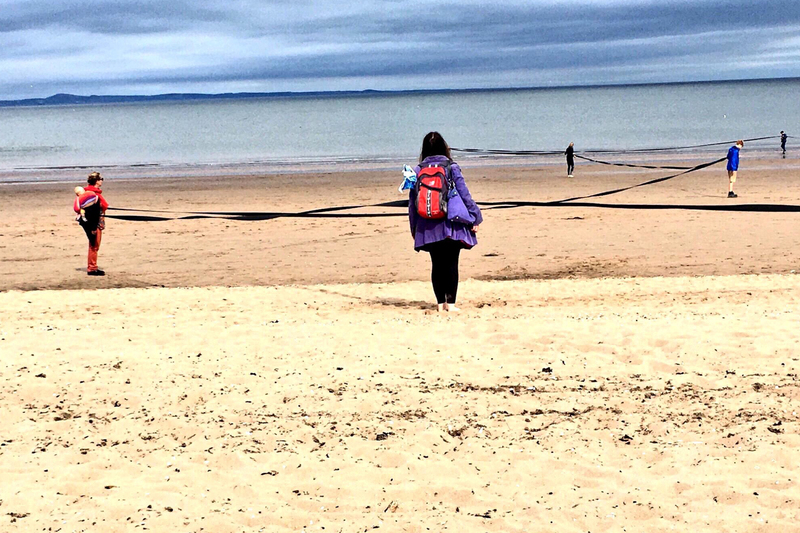 This mini-residency built on an interest in language, history, ‘ephemory’ and place, exploring the building of a collective memory relating to the particular heritage of this seaside town under an evolving body of work called ‘Wish You Were Here?’. The making workshops took inspiration from the Paper Mill that was established here in 1836 and the holiday tradition of sending postcards back home. 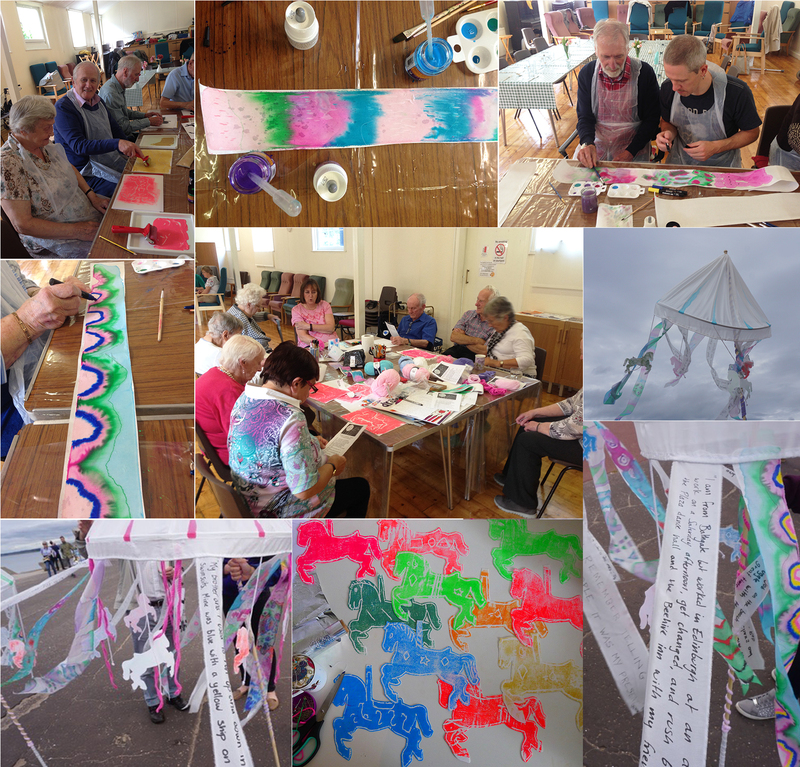 Fiona Hermse developed a project working with Portobello Older Peoples' Project in August 2018 based around collected memories relating to Portobello, creating a series of mobile, merry-go-round style sculptures. The sculptures featured on the Prom Parade on 1st Sept and were later shown at St Marks Church. 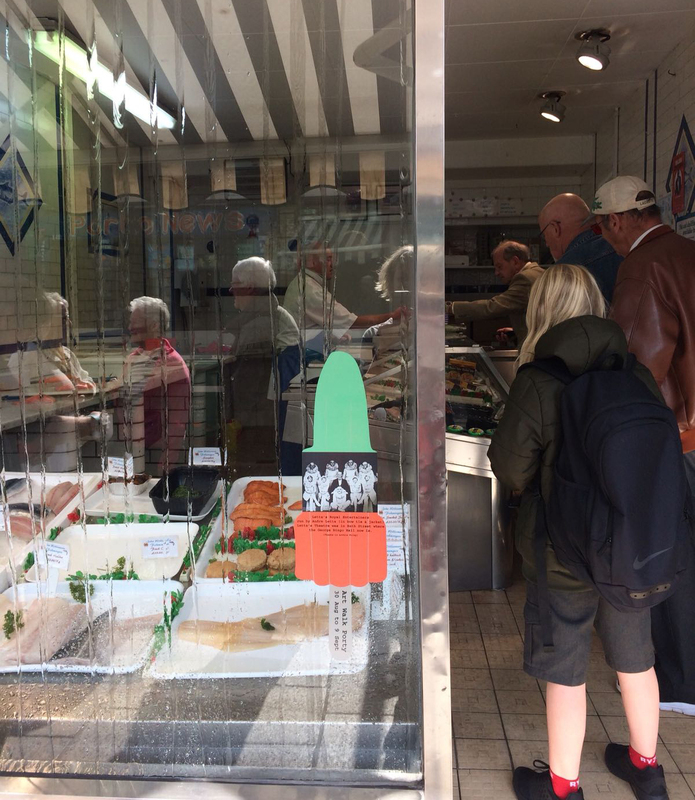 Many 'Lollies' adorned our High Street Shops, with artists developing 'Artist Windows' in a number of charity shop windows on the 'Pleasure Ground' theme.